Love this new one from Angaleena Presley. 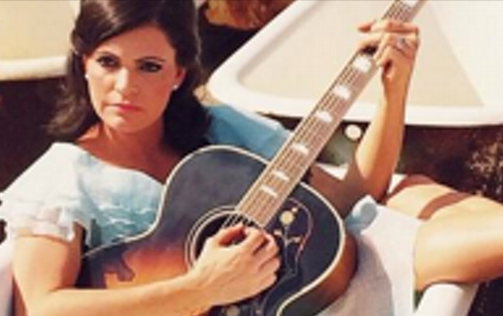 I’m going to say it right now – Angaleena Presley is my favorite country artist right now. Maybe that’s just how I’m feeling after listening to this new song, but I think she’s that good. She just has this completely unique sound and she’s singing about things that nobody else is willing to touch. But the real kicker is that she’s doing it in a way that’s catchy. And that keeps you coming back to listen to more. I love when artists kind of pull the curtain back on the things we don’t like to talk about in life. Raise your hand if you know someone that is on some kind of pill for something? I would venture to guess that 99% of us out there can raise our hand to that. Hopefully we’re not the ones relying on those pills, but they do affect us in some way or another. That’s kind of the focus on the song. How we all live with pills, but don’t really like to talk about it and try to cover it up and find something else to blame when those pills are causing issue in life. But back to Angaleena. I think her music is great. I think it is something fresh and unique. There is nobody out there that sounds like her right now and we need someone like this to step up and take country by storm because the charts are lacking for women right now.